Supercar ownership is fraught with danger, but a classic De Tomaso Pantera with Ford Cleveland V8 engine make it a smarter choice. As much as we’d all like a supercar in our temperature-controlled garage, not many want to endure the sky-high maintenance bills. 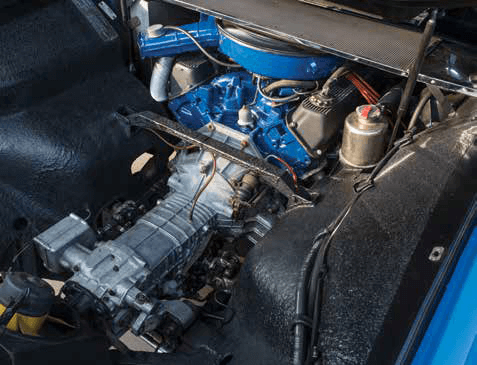 Mechanics are of course at an advantage, able to handle a lot of potential pitfalls of owning classic exotica, but really, not many are specialist – or foolhardy – enough to tackle the rebuild of a Lamborghini Miura’s temperamental Italian V12. Back in the early 1970s the supercar scene was booming. Alongside the gorgeous Miura, Ferrari had its 365 GTB Daytona and Maserati its Ghibli. Yet for roughly half their price you could buy an equally striking Italian supercar called the De Tomaso Pantera. It offered the required “go-fast” wedge shape and purity of line, but instead of a highly-strung European sports motor, mid-mounted in front of the Pantera’s raised angular rump sat a tried- and-tested American Ford V8 engine. The desirable combination of a relatively simple performance engine housed inside an elegant shell was of huge appeal to the Sunshine Coast’s Dave Farrer. 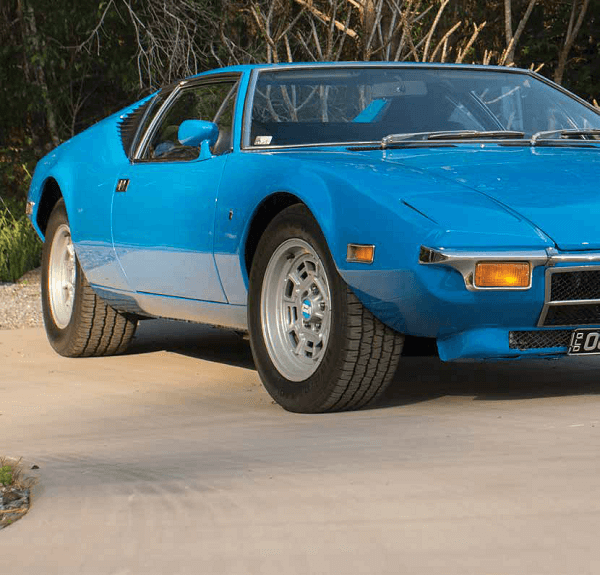 He owns no less than three Panteras (Italian for ‘panther’ by the way), and his striking light blue example was one of the earliest made, delivered to its first owner in California in 1972. While Dave happily gets his hands oily working on his De Tomasos, he said when it comes to the Lamborghini he has found a specialist individual living not far from him who used to work for the brand. “If you don’t have a contact like that you’re going to be paying through the nose,” he said. Celebrities of the day caught Pantera fever, with notable owners including racing legends Sir Jackie Stewart and Mario Andretti, the King of Sweden and even Elvis Presley, who allegedly shot the steering wheel in his when it refused to start. fever, with notable owners including racing legends Sir Jackie Stewart and Mario Andretti, the King of Sweden and even Elvis Presley, who allegedly shot the steering wheel in his when it refused to start. The original blue colour – a kind of Ford Grabber blue – was repeated on the body, and today, as you can see in the pictures, it presents immaculately after an impressive job by Dave’s local Bissell’s Paint & Panel body repair centre. Fortunately it isn’t adorned with the later Pantera’s cumbersome black safety bumpers, looking much cleaner with skinny chrome items. With pop-up lights down it is at its wedgiest (with lights up Dave calls it a bit goofy), but it is from the rear it looks most wonderfully supercar. The rear engine cover is almost impossibly long, wide and angular, while an upswept back end dramatically exposes the angled quad exhaust system. The black cabin is unrestored yet has barely suffered for its 45 years. A few creases in the seats and some light fading on the switchgear show it’s been used, but also well cared for: there’s no hint of a crack in the dashboard, while the original Veglia instruments still have their luminous glow. As Mr De Tomaso was an Italian-based Argentinian, the blue and white Argentine flag colours adorn the dials, gearshift knob and floor mats. The only later updates are a more modern Sony radio (mounted as per original on its side) and a Dino steering wheel. It’s a cosy cabin, and the pedals in this left-hand drive car are offset far to the right thanks to the encroaching wheel well. But you sit sportily low, the metal gate around the dog-leg shifter is wonderfully of its era, and there’s nothing quite like having a thumping V8 mounted almost right beside you. With the graceful 1972 Pantera sitting in early evening soft light, then the intoxicating sound of that American V8 being fired up (it started first time incidentally), the look in Dave’s eye and the smile on his face suggest it would be too hard to let go.